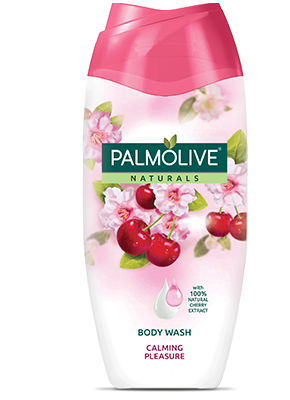 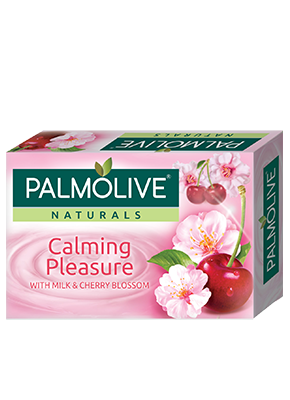 Palmolive Naturals Calming Pleasure is infused with the goodness of naturally derived Milk Proteins and Cherry Blossom Extracts. 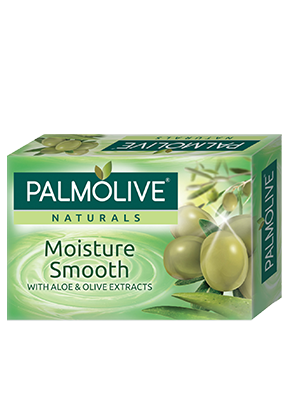 Palmolive Naturals Moisture Smooth is infused with the goodness of naturally derived Milk Proteins and Olive Extract. 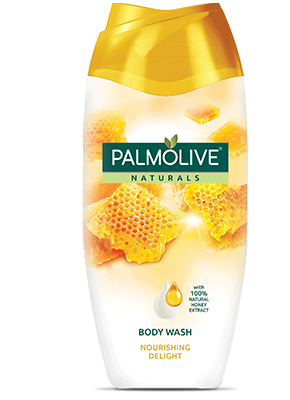 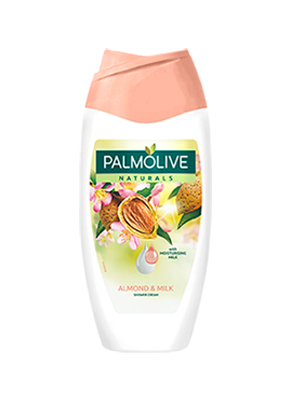 Palmolive Naturals Nourishing Delight is infused with the goodness of naturally derived Milk Proteins and Honey Extracts. 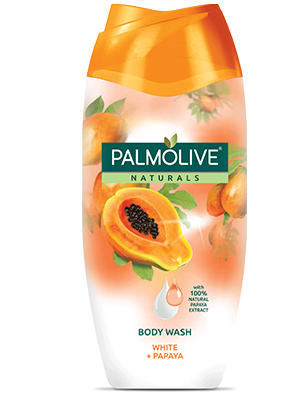 Palmolive Naturals White + Papaya’s rich formula is infused with the goodness of 100% natural papaya extract. 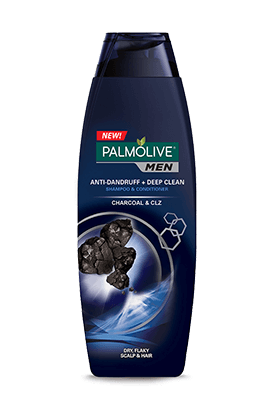 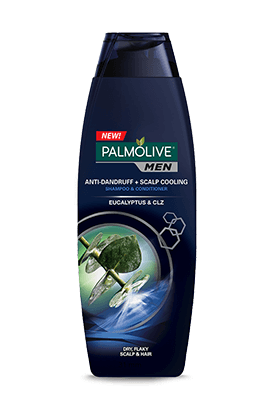 Palmolive Men is an exclusive advanced formula made specifically for men. 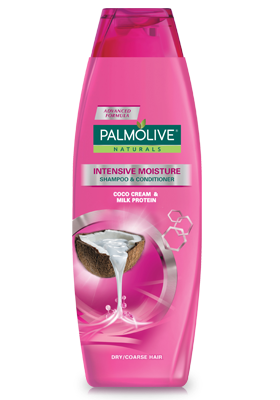 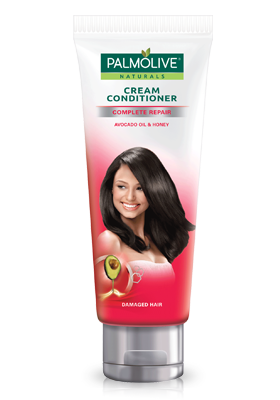 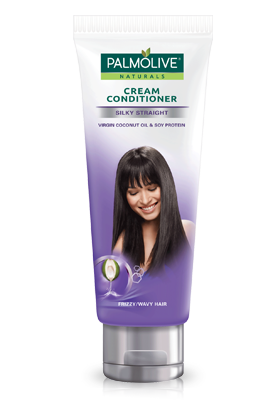 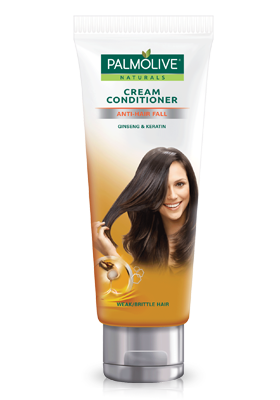 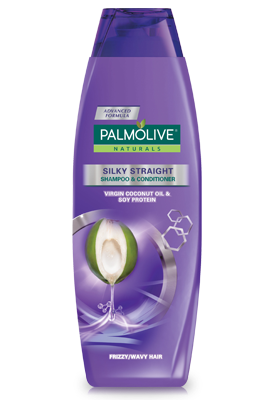 Palmolive Naturals Intensive Moisture Shampoo's specialized formula with Coco Cream and Milk Protein extracts. 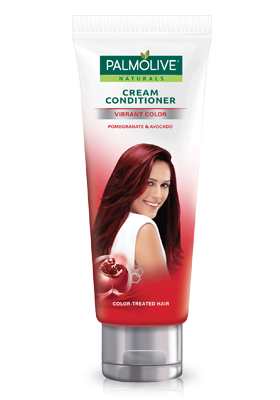 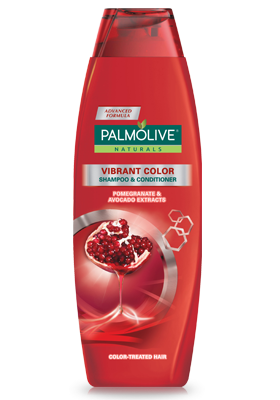 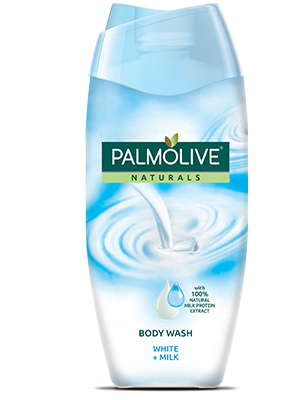 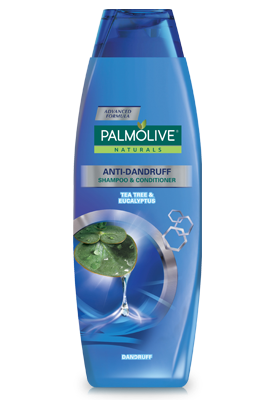 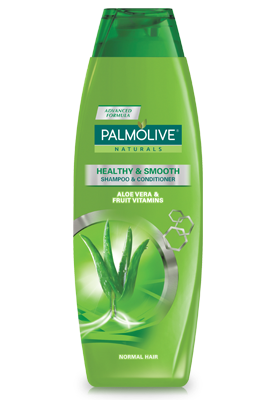 Palmolive Naturals Healthy & Smooth Shampoo's nourishing formula with 100% natural Aloe Vera and Vitamin extracts. 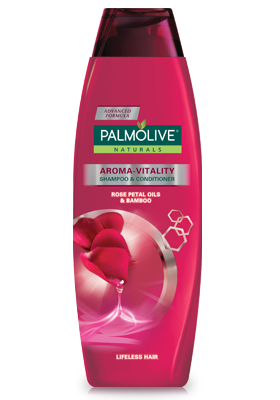 Palmolive Naturals Aroma-Vitality Shampoo's nourishing formula with essential oils of 100% natural Rose Petals and Bamboo extracts. 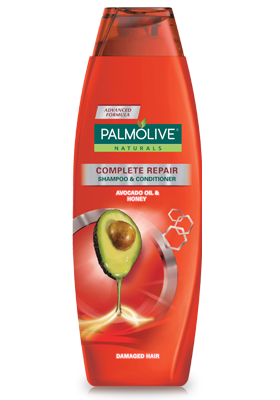 Palmolive Naturals Complete Repair Shampoo’s specialized formula with 100% natural Avocado Oil and Honey Balm extracts. 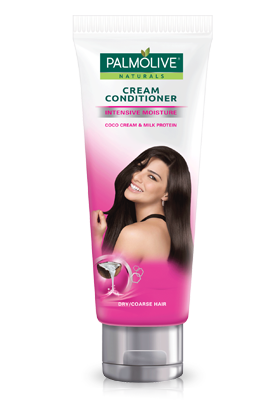 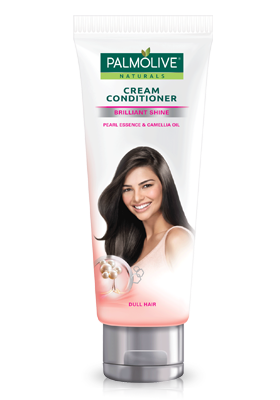 New Palmolive Naturals Intensive Moisture Cream Conditioner moisture-rich formula, infused 100% naturals extracts of Coco Cream and Milk Protein. 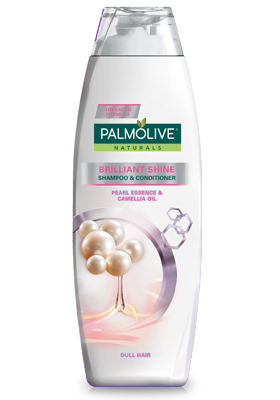 New Palmolive Naturals Brilliant Shine Cream Conditioner moisture-rich formula, infused with 100% natural extracts of Pearl Essence and Camellia Oil extracts. 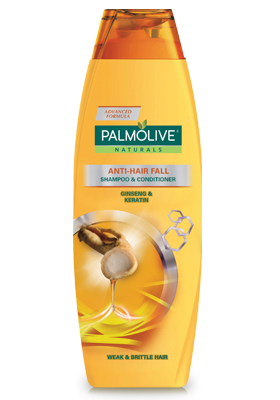 New Palmolive Naturals Complete Repair Cream Conditioner moisture-rich formula, infused with 100% natural extracts of Avocado Oil and Honey Balm. 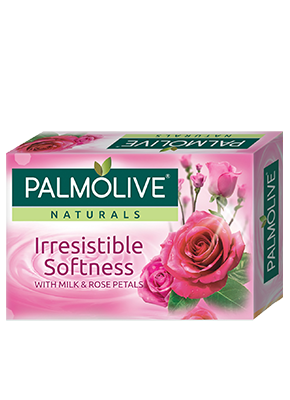 Discover Palmolive’s best* moisturizing feel formula with 100% Milk and Rose Petal extracts. 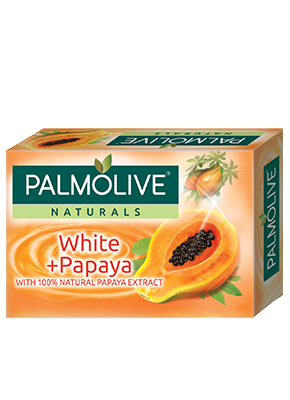 For whiter skin in just 1 week use Palmolive® Naturals White + Papaya soap! 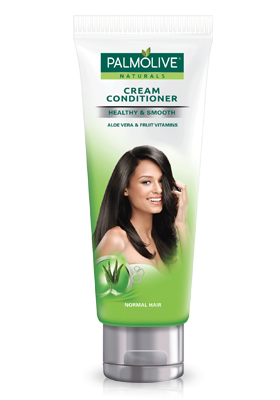 Its formula, with 100% Natural Papaya Extract. 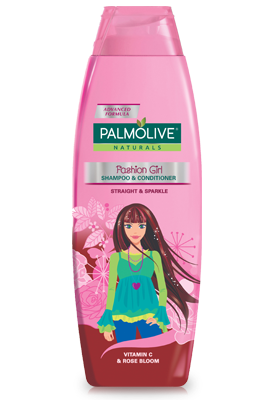 Discover Palmolive’s best* moisturizing feel formula with 100% natural Aloe and Olive extracts. 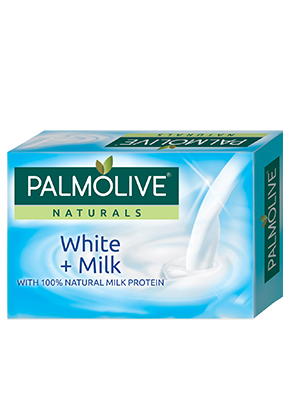 Nourish your skin with the goodness of milk with Palmolive® Naturals White + Milk soap. 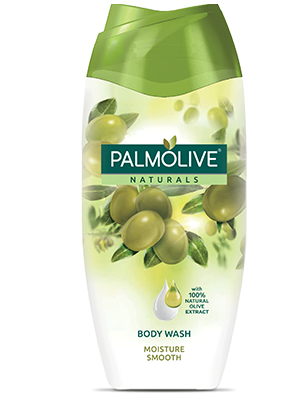 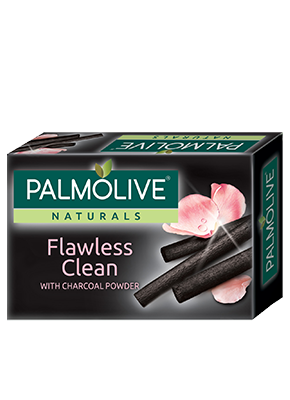 Indulge in a sensational clean and fresh shower experience with Palmolive Naturals Flawless Clean soap. 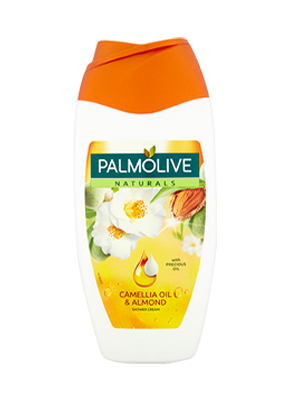 Feel relaxed and indulge your skin with Palmolive Naturals Calming Pleasure soap. 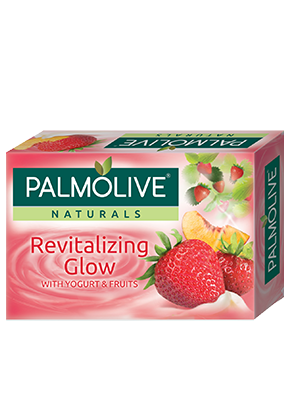 Make your skin glow with natural moisture. 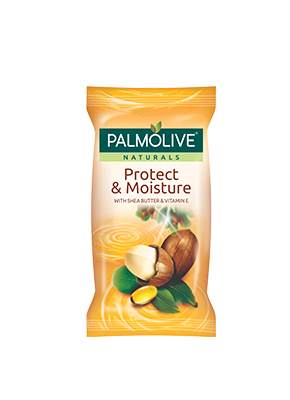 Discover Palmolive’s best moisturizing feel formula with 100% natural Shea Butter and Vitamin E extracts.